After School Extra-Curricular Programs (formerly After 4) are back at Brown this Fall! Information about the Fall programs are available online at www.brownschool.ca. Registration forms have been sent home with your child. You may register online for all programs directly with our vendors (with the exception of Ukulele and Karate - bring these completed forms to school). As always, admission will be on a first-come, first-serve basis. If you have any questions or comments, please contact Judy-Ann Bunn at jabunn5@gmail.com. The Brown Lunch Program which has offered milk (daily) and pizza (monthly) will slightly change this year. The pizza portion of the program will now be taken over by the Lunch Mom program. Lunch Mom forms have been sent home and are available at the office. Parent Council/Brown will continue to offer milk to the kids daily. The amended forms for the Milk Program have gone home to the families earlier this week and can also be found at the office and online under Forms. It's important to note that participation in the Lunch Mom program is not necessary to join pizza lunch. Although it's offered through the Lunch Mom it will be run separately and will be ordered separately. Milk Program will start second week of October. We need new volunteers to help keep the program running. All it entails is 15 to 20 minutes of your time, one or two mornings a month! There’s no training required and we can work around your schedule at any time. If you would like to learn more about volunteering for this program, please email Mary Ann Stewart at maryann@floristware.com. 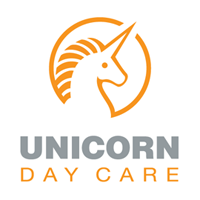 Unicorn's new Nursery Program operating out of Cottingham Junior Public School is up and running! The program runs from September to June and they have available spots. It is a Pre-Kindergarten Enrichment Program for children ages 2.5 - 4 years old. Mornings only (9:00 AM – 11:30 AM) or Extended Hours (9:00 AM – 2:45 PM with lunch included). They are now accepting applications. October 2nd - The TDSB has organized an information session on returning to the classroom after a concussion. Please see attached for details.